Besides it's a very simple manicure, I don't know what else to say lol. Nothing special about this mani. I use E-Nail Dream Lover as base, Banana Boat and white color paints for the design. Notice about how un-straight the lines are? lol. I personally don't like this very much. However, every single manicure is a child of mine, and they will be perfected through practices. Besides that, I did notice about the formula of Dream Lover is slightly different from other E-Nail polishes I own. It gets thick and guppy faster than others. Just remember that it needs more aqua then. 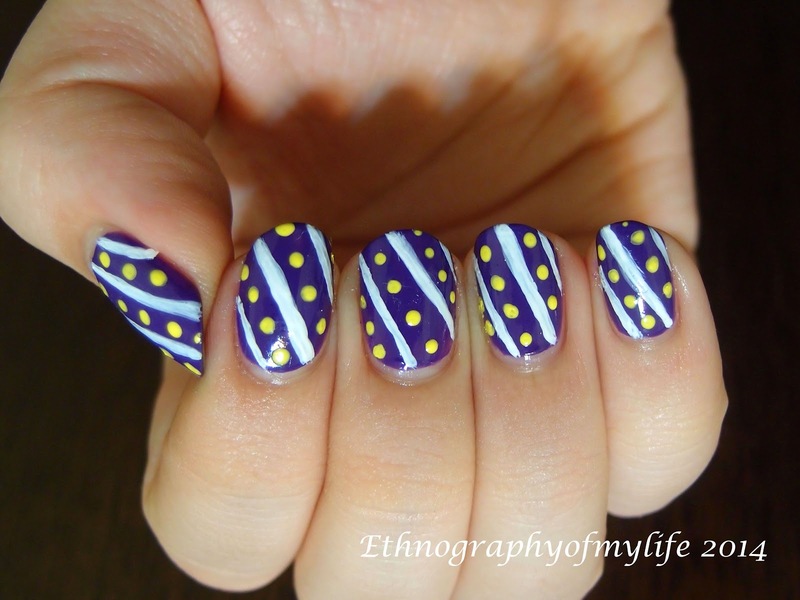 Although I dislike the un-straight lines, I still admire this color combination, the purple and yellow are the combo that I use the most often. Everyone should know that I love purple by now, right? 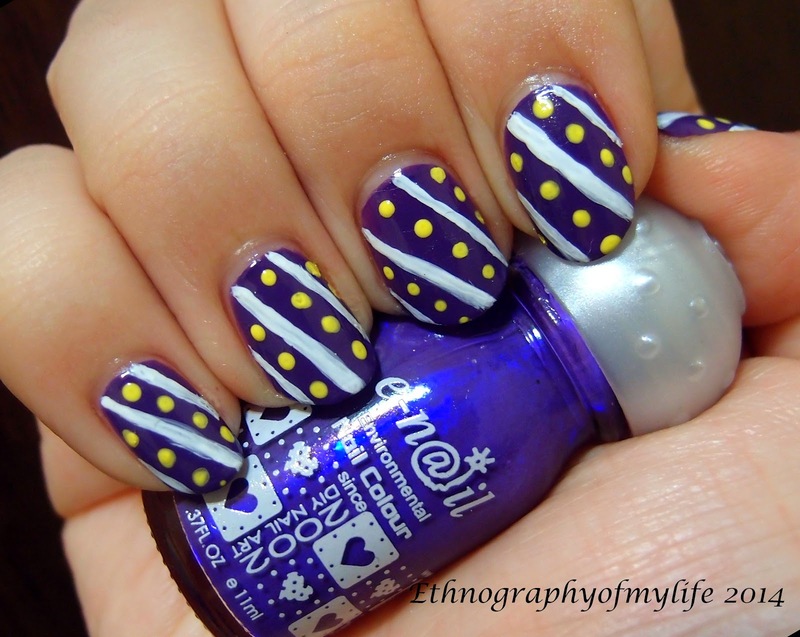 I am ready for more and more purple manis in 2014!